The principal characteristics of some of the more common heredofamilial and congenital glomerular disorders are described and illustrated. 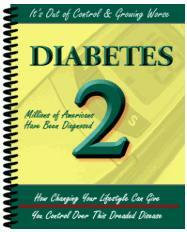 Diabetes mellitus, the most common heredofamilial glomerular disease, is illustrated in Volume IV, Chapter 1. These disorders are inherited in a variety of patterns (X-linked, autosomal dominant, or autosomal recessive). Many of these disorders appear to be caused by defective synthesis or assembly of critical glycoprotein (collagen) components of the glomerular basement membrane.